Hi Everyone! 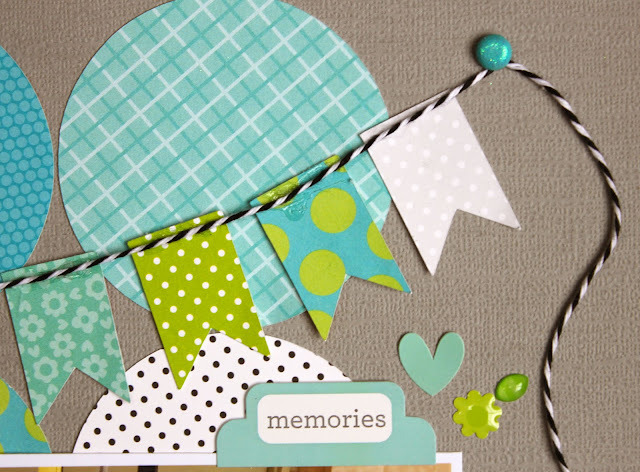 It's Kathy today with a layout I created for the Mix and Match Challenge! 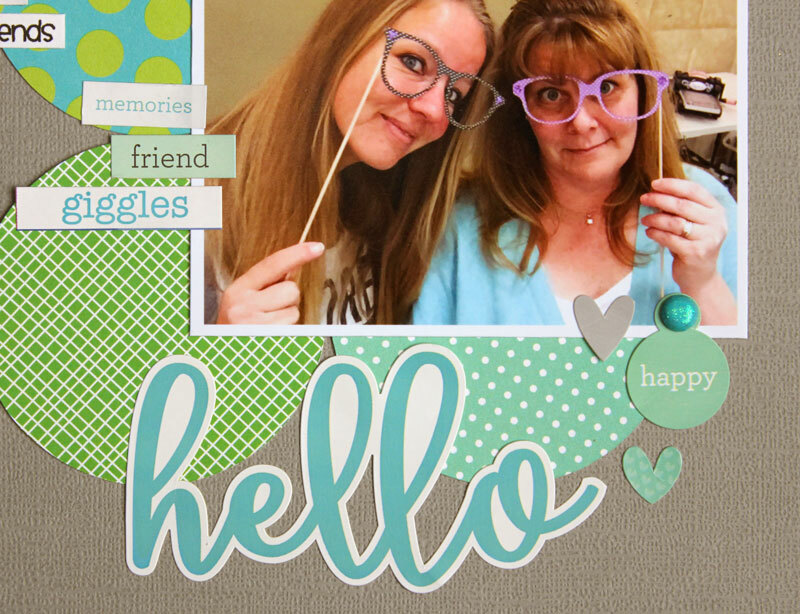 The ladies on the Doodlebug DT were challenged to create a project using multiple Doodlebug collections... which is so easy, everything coordinates so well! Here's my layout featuring 6...yes 6 Doodlebug collections. Take a peek. I love this picture! I got to meet one of my on-line scrappy friends in real life after knowing each other for 3 years! She flew in from the Netherlands and we had a great weekend at a huge crop! Swimming Pool and Limeade are my favorite Doodlebug Colors so I decided to use those colors for my layout. I used coordinating papers from Polar Pals, Spring Garden, Anchors Aweigh, Sweet Things, Swiss Dot Petite Prints and an oldie...Hip Hip Hooray! The beauty of keeping the same color families across collections is that you can always find that perfect paper or embellishment to add to your projects! I found stickers and sprinkles in each of the collections to add to my layout! Fun fact... the glasses photo props we are using in this picture are from my Swiss Dot Petite Prints project that I blogged back in February! That's it for me today, make sure to keep checking the blog for more Mix and Match inspiration! Kathy! I love this! These colors are amazing (and that photo)! I had the best of time with you at the crop and I think this is my fave pic!! You made a super stunning layout with it, gorgeous! I recognize those PI Beauties!! Great layout! Love the design of this layout! I love this color combination...so fresh. 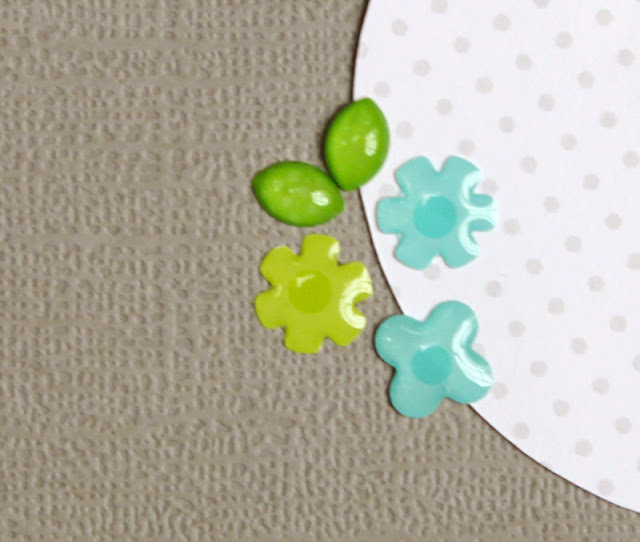 The design of your LO is a perfect way to feature a mix of fabulous patterned papers. Nicely done! Kathy - this is AWESOMELY delightful in every way - the colors, the design, the CUTE photo!! Just so awesome!! Loving the colours on here!! Love the color combination on this page so much!! and love that banner holding it all together! !